One of our readers asked if there will be any summer replays of the Vampire Diaries. Â Not only that, it’ll be a double feature on Thursday nights beginning June 3rd (8/7c) when CW TV airs Moonlight, alongside encore episodes of Vampire Diaries. 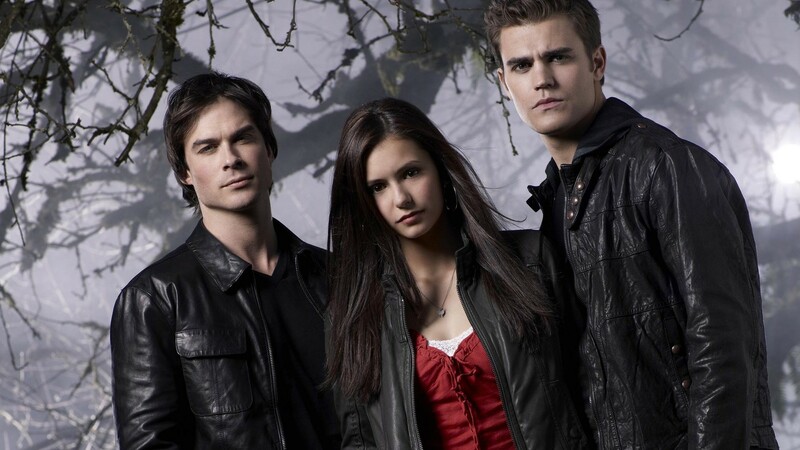 Â Vampire Diaries Season 2 is set to premiere in September 2010. Four months after the tragic car accident that killed their parents, 17-year-old Elena Gilbert and her 15-year-old brother, Jeremy are still trying to cope with their grief and move on with their lives. Elena has always been the star student; beautiful, popular and involved with school and friends, but now she finds herself struggling to hide her sadness from the world. As the school year begins, Elena and her friends are fascinated by a handsome and mysterious new student, Stefan Salvatore. Stefan and Elena are immediately drawn to one another, and Elena has no way of knowing that Stefan is a centuries-old vampire, struggling to live peacefully among humans, while his brother Damon is the embodiment of vampire violence and brutality. Now these two vampire brothers – one good, one evil – are at war for Elena’s soul and for the souls of her friends, family and all the residents of the small town of Mystic Falls. Thanks for the info. The DVR has been set up. Have you covered vampire-themed roleplaying games? Not video games, but pen-n-paper, tabletop RPGs. A quick search of the site didn’t bring up anything.